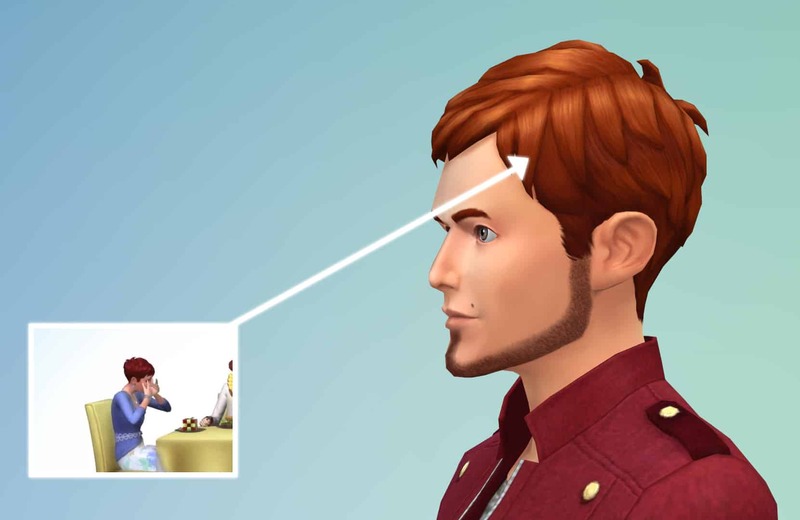 Looks like The Sims 4’s Upcoming Content video has more teasers than they meet the eye! Our friends at DOTsim have pointed out a significant hint from the video. During the presentation of The Sims 4 Restaurants Game Pack, there is a female Sim sitting with a Tragic Clown that’s rocking a male-only hairstyle. This isn’t the first teaser for Unisex CAS assets though. 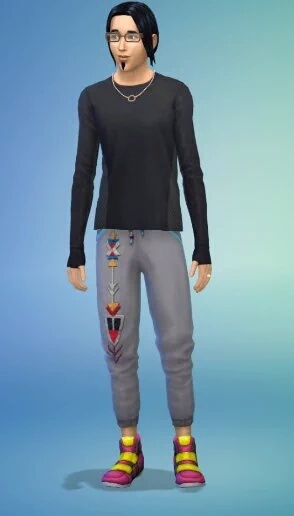 Just yesterday, SimGuruSarah posted (and then quickly deleted) a screenshot of a male Sim with a female hairstyle and a female-only necklace. Thanks to @tazreentasnim for the screencap! When asked how is it possible for male and female sims to wear each other’s assets, she responded with: We can modify existing hairs to work on different ages/genders.We did it in TS3 too. Sorry SimGuruSarah, but whatever appeared on that Teaser Video can now be counted as a possible feature! SimGuruTrev tried to tell us that there’s more to the Teaser Video than just a Tragic Clown and GP/SP features, and it looks like he was talking about the Unisex CAS feature. SimGuruDrake confirmed days ago that the Teaser Video contains hints for patches that will release between April-June. We already got Tragic Clowns that they teased, and now it’s time to upgrade our CAS! Origin Trial: Play PvZ Garden Warfare 2 for 10 Hours for FREE!